Since it is located on the northern part of the Apennines, the Park is in a great location for a variety of winter activities. Visitors can try alpine skiing, cross country skiing, snowboarding and snowshoeing, among other options. Due to the variations in snowfall, snowshoeing and alpine skiing are the most commonly available winter activities. Snowshoeing is a great activity for visitors new to winter sports. Come and explore! Because of the warmth of the Mediterranean climate zone on the western slopes in the Park, snowfall can be unpredictable which impacts whether the alpine ski centers are open. If you plan on skiing or snowboarding at one of the resorts listed below, be sure to call or email for mountain conditions and hours of operation prior to your departure. Some years, good snow doesn't fall until March or April. The Park's ski resorts are located on the northern faces of the highest mountains. Many of the ski resorts listed on this page are famous and known all over Italy, as they offer a variety of trails that cater to beginner and advanced skiers. The resorts provide ski and snowboard rentals so there's no need to bring your own! Cerreto Laghi is one of the best ski resorts of the Apennines. Located on Mt. la Nuda, the mountain offers 28 km (17 mi) of ski-runs varying in length and difficulty. Two of the trails are designated for cross-country skiing, one of which has been upgraded for international competitions. There is an indoor ice-rink with an Olympic skating track as well as a campground and a number of hotels and restaurants in the surrounding area. Situated in the smooth planes between Monte Bocco and Monte Torricella, this rustic family-friendly ski resort provides downhill ski runs and snowshoe trails of varying difficulties. It's cozy rooms include complimentary breakfast, WiFi and television. Inside the lodge is a bar and casual restaurant that serves traditional Italian cuisine. Room service is available. There are ski and snowboard rentals available as well as a ski school to accompany any beginners. Rifugio Pratizzano is one of the only locations in the Park that specializes in cross-country skiing. The area offers three individual loops, one at 3 km (1.8 mi), one at 5 km (3.1 mi) and another at 10 km (6.2 mi) adding up to a total of 18 km (11.1 mi) of ski trails. The trails are groomed, maintained regularly and provide easy signage. 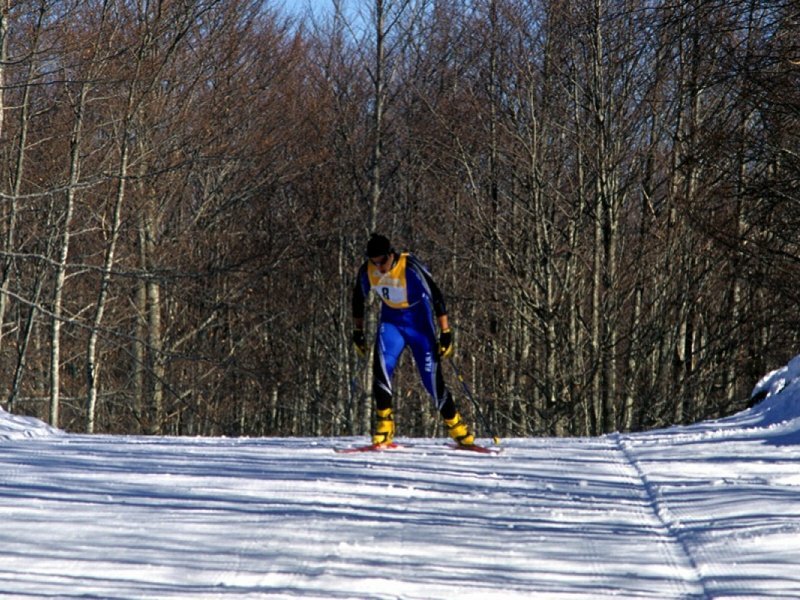 Cross-country skiing in Pratizzano is a great way to see the diverse wildlife and environment that the Apennines have to offer. Don't know how to cross-country ski? Not a problem, Pratizzano offers ski instructions for beginners. There is a well maintained road system that makes for an easy ride to this resort. Traveling from Reggio Emilia take the SS63 or from Modena take the SS486.